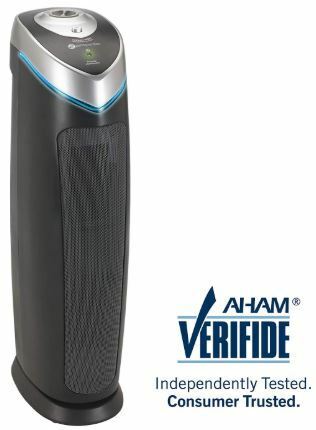 The GermGuardian AC5000E air purifier uses three filters to remove different types of pollutants in the air. GermGuardian AC5000E uses a true HEPA filter that removes airborne particles such as dust mites, pet dander, mold spores, and pollen. It captures 99.97 percent of allergens as small as 0.3 microns. Through its activated carbon filter, the AC500E does an especially good job of eliminating odors from pets, cooking and smoking. This Germguardian also includes a UV-C light sanitizer that kills airborne germs and bacteria. This air purifier is ideal for small rooms of up to 180 square feet in size. Keep reading to learn more about the GermGuardian AC5000E air purifier - including its best features, known issues, pros/cons and technical capabilities. 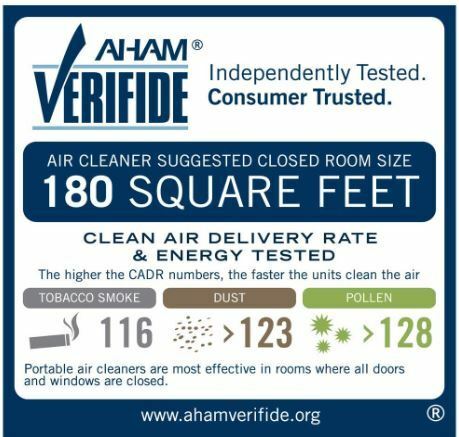 If the Germ Guardian AC5000E isn’t what you are looking for, then check out our recently-guides to the best air purifiers for cigarette smoke and the best air purifiers for mold. 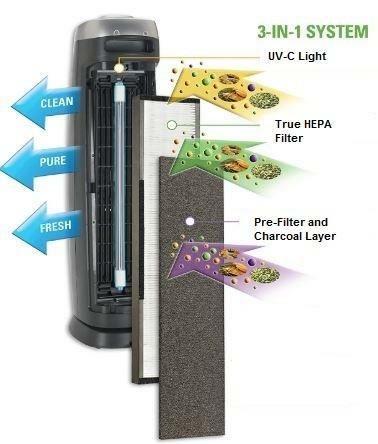 True HEPA filter – efficient filtration capturing 99.97 percent of allergens. Great for allergy sufferers. Once air goes into the air purifier, it passes through three filtration stages before it is released back into the room. This is the filter that first receives the dirty air from the room. It captures pollutants like pet hair and large particles of dust. It not only improves filtration performance but also keeps the carbon and HEPA filter from clogging up too quickly. This filter eliminates odors from pets, cooking and smoking. This is the most efficient of the three filters. It traps tiny allergens as small as 0.3 microns. These include pet dander, mold spores, dust mites, and pollen. UV-C light is a highly effective sanitizer. It neutralizes disease-causing microorganisms such as viruses and bacteria by destroying their DNA, which either kills the bacteria or prevents them from reproducing. The UV-C light adds an extra level of protection for your family. But if you don’t want it (or if you find the light annoying), you can turn it off separately from the other controls. 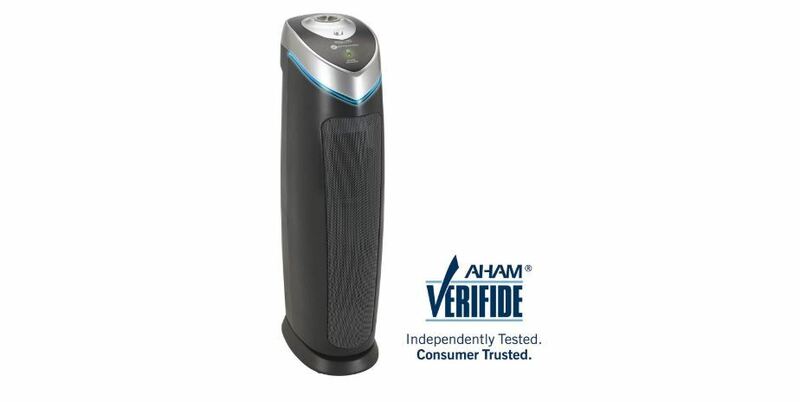 The AC5000E air purifier performs four air exchanges per hour in a 180 square foot space. That’s pretty good performance especially for a compact unit like this one. It ensures pollutants and allergens have no opportunity to accumulate in the air. The AC5000E has a convenient filter and UV-C light bulb replacement indicator. Generally, the filter lasts about 6-8 months. But it can last for less time if you live in a highly polluted area or if there are wildfires in your area. This is one of the quietest air purifiers. Even at the highest fan speed, it sounds more like background noise. 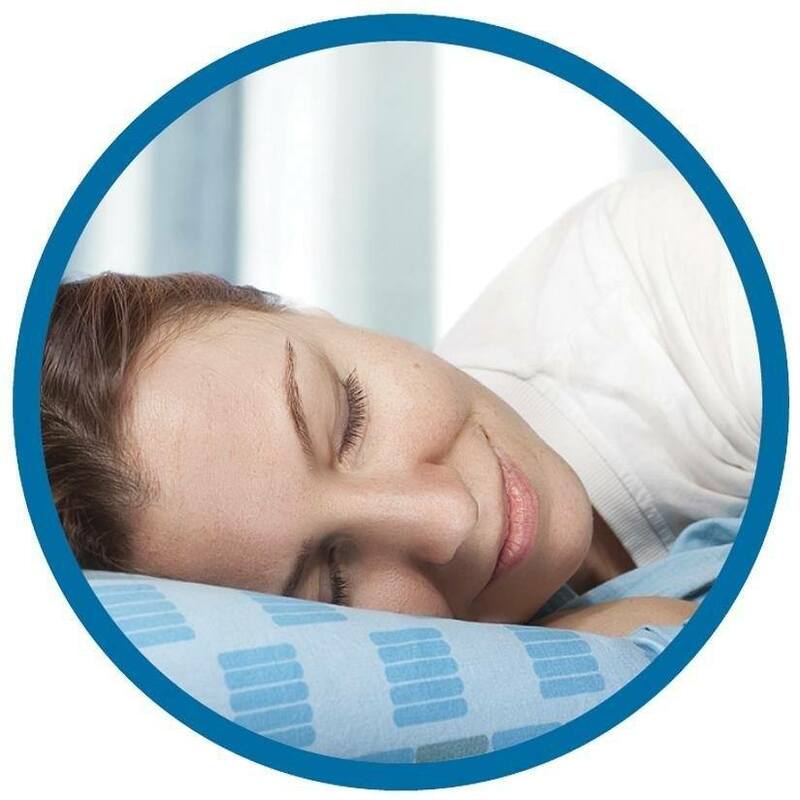 So you don’t necessarily need to turn it all the way down when you sleep. But if you prefer a quiet bedroom, the lowest fan speed setting is perfect. It’s almost impossible to hear. Some UV-C light air purifiers produce ozone along with the UV light. Above a certain level, ozone is harmful to your health. But only UV-C lights with wavelengths below 200 nm produce ozone. This one runs at 253.7 nm making it ozone-free. It’s perfectly safe for your family. New units exude a plastic smell, which is somewhat ironic since the air purifier is supposed to remove bad odors. The problem is the filter unit. But the smell is not dangerous and will go away after a week or two. Another issue is the UV-C light. For people who prefer sleeping in complete darkness, the light is too bright. If you don’t want to turn off the UV filter, you could cover the light with something. Whether you are trying to deal with pet-caused allergies, remove bad odors from your home or just want cleaner air for your family, the GermGuardian AC5000E is a great choice and an affordable one as well. Using a 3-stage filtration process, it can tackle just about any air pollutant and allergen. 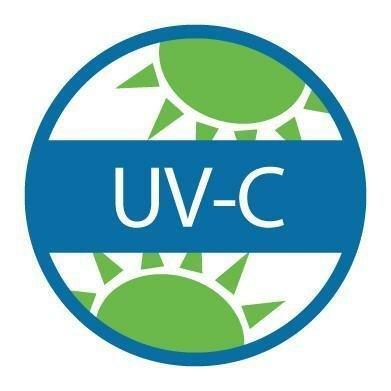 The UV-C light filter provides extra protection against bacteria and germs. I highly recommend this GermGuardian purifier for small living rooms, nurseries, bedrooms, and home offices. ​You can also carry it from room to room, as it really doesn’t weight much.